This is a live post from Machu Picchu, Peru! One of the most amazing places in the world. At Experience Your Life, we believe in travel with purpose – having an awesome time while making the world a better place by contributing into the lives of the communities we visit. 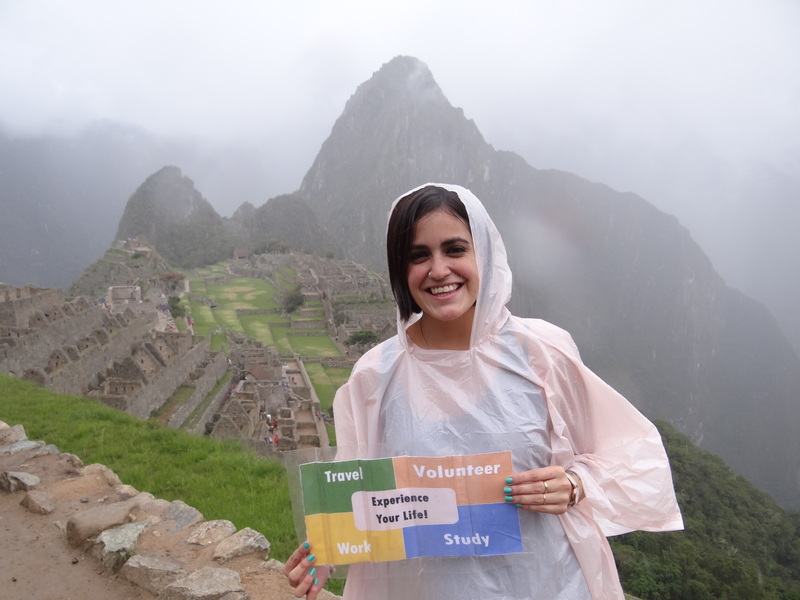 We hit the road this holiday season volunteering and traveling across Peru and Ecuador. The trip includes the Inca city of Machu Picchu, Amazon, Cuzco, Quito and the coaster surf towns. Connect with the locals! Our most amazing experiences so far have been with locals. Traditions are everywhere in these amazing mountain towns. People are incredibly friendly and a smile will go a long way. Bring some gifts. A few chocolates go a long way to putting a smile on a child’s face who is facing extreme poverty. One of the things that hits you is the level of poverty in the countryside and in the outskirts of towns such as Cusco. We always encourage having a budget built into your trip to help people. You will make some kids very happy even if you bring a box of chocolates. It’s the thought that counts and the human connection in those interactions is like no other. For example, you will see a little girl in the pictures hugging the chocolates, her smiles says it all! Machu Picchu is FAR! In order to get there, you have to fly from Lima (Peru) to the amazing colonial town of Cusco that is at a staggering height of 3399 metres! People often stay in this town for a few days before heading out to Machu Picchu (which is 4 hours train ride away). You are bound to experience altitude sickness at this height especially if you are coming directly from sea level. A better way to do this trip is to head out to Machu Picchu as soon as you land in Cusco. You can spend a night at the town Aqua Caliente (hot spring) which is actually 2300 metres (i.e. almost 1 km lower than Cusco) thus giving your body time to acclimatize. Machu Picchu is only 8 km from there. Enjoy the pictures and hopefully they will inspire you to visit this amazing place yourself.